In some of my recent engagments I was meeting customers & understanding their requriement & roadmap for Enterprise IT Consolidation; But realised most of us are doing cosolidaiton but in a fragmented way. In course of my brainstroms found all enterprises should take the right path to get benifited out of this kind of exercise optimally. If we don’t follow an enterprise road map may be at the end of the day IT team will be consolidating servers to virtual machines but application team will be continuing adding large number of small application servers creating virtual sprawl resulting more use of physical servers & storage space. In current industry SQL & other database sprawl is one of the brightest example. 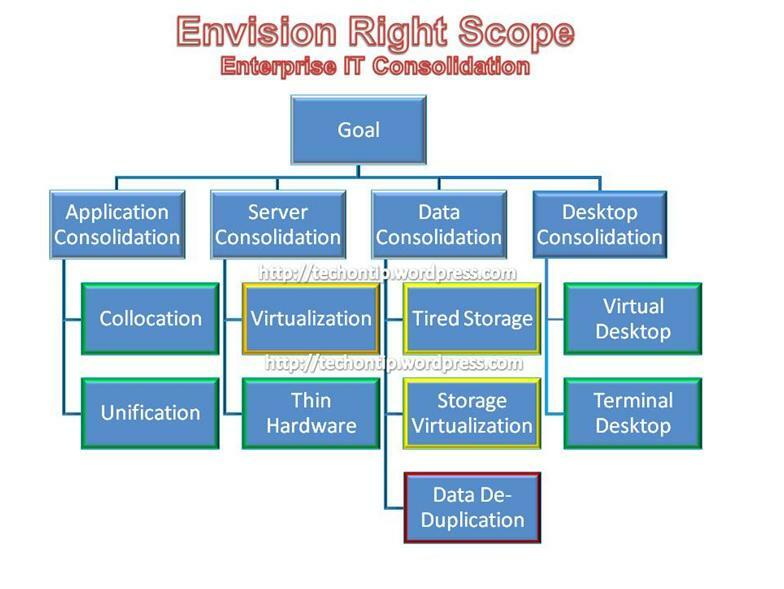 So I believe before kicking off the Enterprise IT Consolidation project, we should envision our scope rightly!